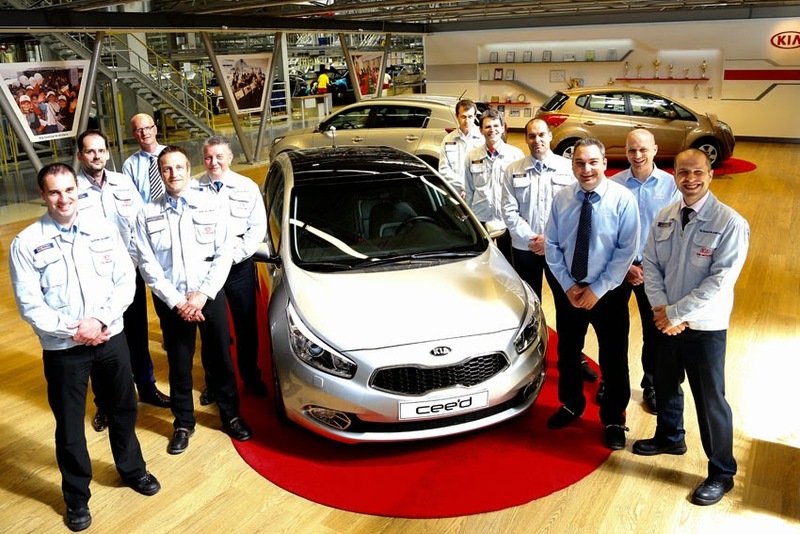 The 1,000,000th Kia cee'd has been manufactured by Kia Motors in Europe, a major milestone since starting production in 2006. White'. The car and its 201 hp 1.6-litre T-GDI (Turbo Gasoline Direct Injection) engine were both produced in Slovakia - the car is destined for a buyer in the Netherlands. "The cee'd has helped establish Kia in Europe as a maker of high-quality, well-designed cars, and it has been one of the key drivers behind our continued growth and success in the region. I'd like to congratulate all my colleagues at Kia Motors Slovakia on this latest milestone, and thank the million customers who have made the cee'd such a popular model," said Artur Martins, VP Marketing, Kia Motors Europe. "Since we began production in 2006, the cee'd range has come a long way, with Sportswagon and pro_cee'd three-door hatchback models expanding the line-up and taking us into new segments of the market. Our high-performing GT models, launched in 2013, have once again put us in front of a more emotional buyer, seeking great design and an enjoyable driving experience. Our future plans for the cee'd will continue to develop a model that has been the foundation upon which we have built the success of the Kia brand in Europe."